Its rumored that this fan favorite sequel is set to be released in early January 2018. 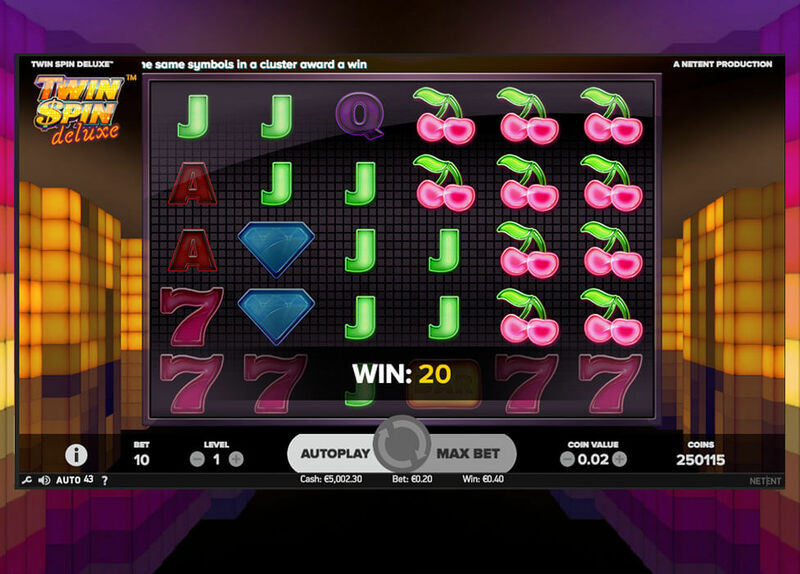 It has been an exclusive released game on some casino operators, but now you can soon see the crazy fun game in your favourite casino as well. The sequel has another reel, new pay structure and a cluster feature, much alike the Cluster Pays! Games. The minimum bet is 0.10€ and the maximum bet is 100€, so here can truly all players try to win the riches of the Twin Spin. Twin Spin Deluxe, is truly something to look forward to in 2018. We will continue updating on this exciting game release in upcoming months. It is a uae casino that accept players from dubai? I prefer playing at uae friendly casino.